Woodland Trails Bed and Breakfast near Hinckley, Minnesota is ideally situated on 500 acres on the Wisconsin border, making it perfect for a weekend getaway. 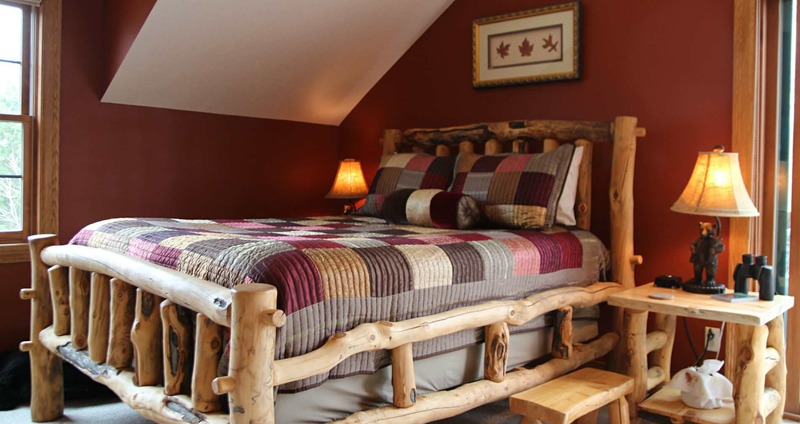 Our most rustic accommodation, the Aspen Room, features a handmade log bed and night stands. Two glider chairs with table and lamp make for comfortable reading spots. The view is of field and forest beyond with lots of wildlife to be seen, particularly in winter. 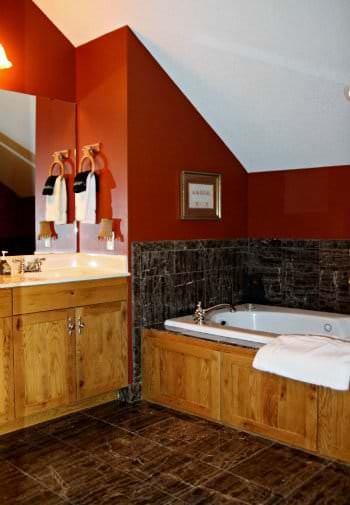 The private bath has a whirlpool tub with a separate shower. A sliding door leads to a small private deck with table and chairs. See how the Aspen compares to the other B&B rooms.